Happy Halloween!! It’s Monday already and the weekend flew by. I’ve been extremely busy these last couple of weeks and have not been able to post. So, today, I’m making it a point to share this quick and healthy Warm Peach Parfait Recipe. You can serve this parfait for breakfast or dessert. 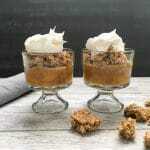 If you love peach cobbler, you will love this this little glass of goodness. You can think of it as peach cobbler without the extra calories – seriously. So, this morning I decided to switch things up a bit. Instead of making pancakes or waffles which I absolutely love, I went for this Warm Peach Parfait. It was the perfect choice before getting my day started. I opened up a can of Del Monte peaches. I always get the can with 100% juice instead of heavy or light syrup. However, if you prefer to get the can that contains syrup opt for the one with light syrup. Anyway, I emptied all the contents in a sauce pan (peaches and juice) and added those warm Fall spices such as pumpkin spice, allspice, ginger, cinnamon, brown sugar and a splash of vanilla extract. To thicken things up a bit, I sprinkled in a little cornstarch. I let it simmer over medium-low heat until all the spices were well incorporated. The aroma that is going on right now smells so good. 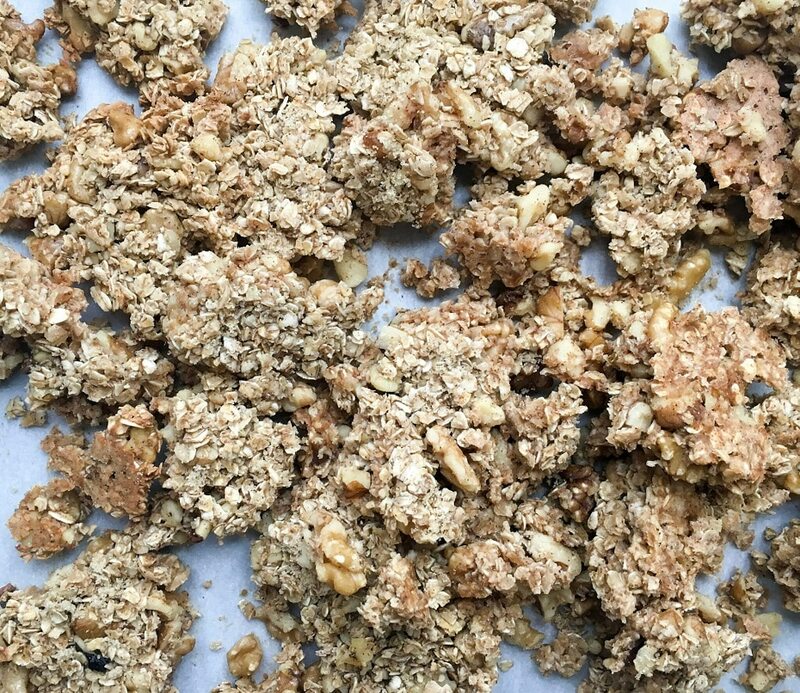 I decided to take this parfait to the next level by topping it with my Healthy Homemade Granola Clusters recipe or you can feel free to add your favorite store brand granola. The crunch from the granola makes this Warm Peach Parfait Recipe the perfect breakfast idea. To top it off, I added a dollop of cool whip. Okay, I couldn’t resist. Was I attempting to have dessert for breakfast (smile)? Aahhhhh, for the love of breakfast. Check out this simple Peach Parfait recipe for a delightful breakfast idea. It's light and delicious tasting. Top it with granola and whipped cream for a breakfast idea that taste like dessert. 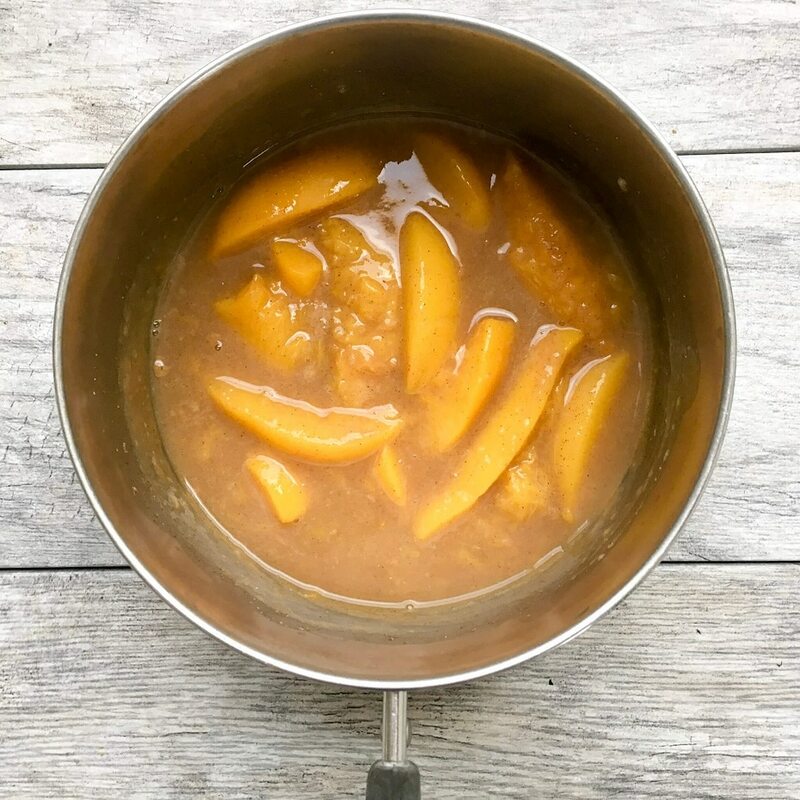 Add canned peaches plus juice, pumpkin spice, ginger, cinnamon, allspice, brown sugar and vanilla extract to a sauce pan. Simmer over medium low heat stirring frequently for 5 minutes or less. 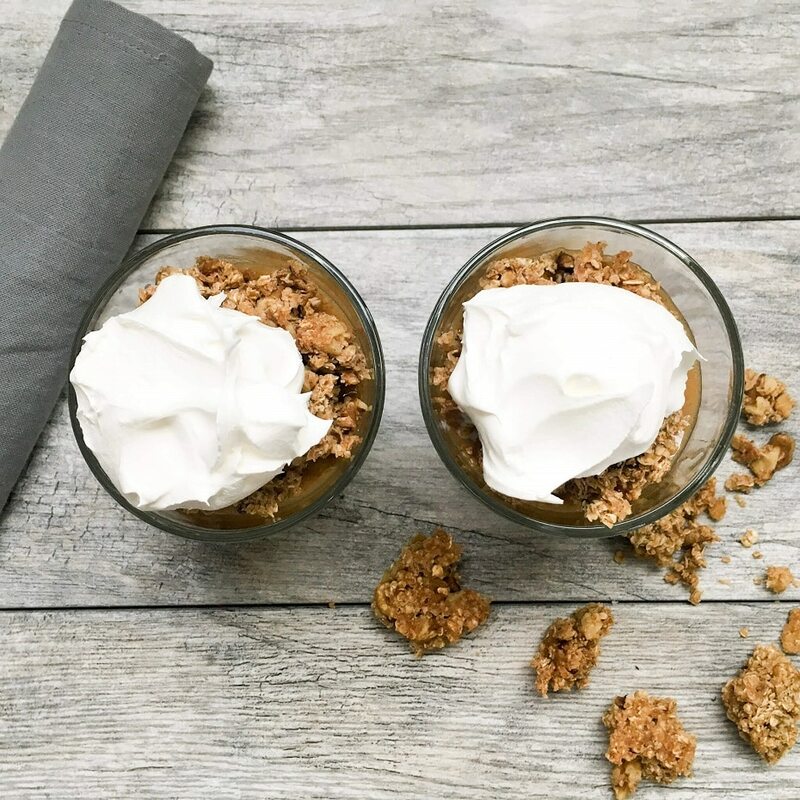 Create your parfait by layering with the warm peach compote, granola, whipped cream and a drizzle of honey or agave. Last but not least ENJOY.